Johan Eklund, Professor JIBS and BTH, is Managing Director of Swedish Entrepreneurship Forum since January 2015.
to serve as a bridge between the entrepreneurship research community and all agents active in development of new and small enterprises. to initiate and disseminate research relevant to policy in the fields of entrepreneurship, innovation and SME. to offer entrepreneurship researchers a forum for idea sharing, to build national and international networks in the field and to bridge the gap between research and practical application. Swedish Entrepreneurship Forum is one of three organizations behind the most prestigious international research prize in the field, the Global Award for Entrepreneurship Research. Swedish Entrepreneurship Forum organizes about 40 seminars / conferences annually in Sweden and internationally. The organization publishes about 20 publications a year, whereof a number in English. 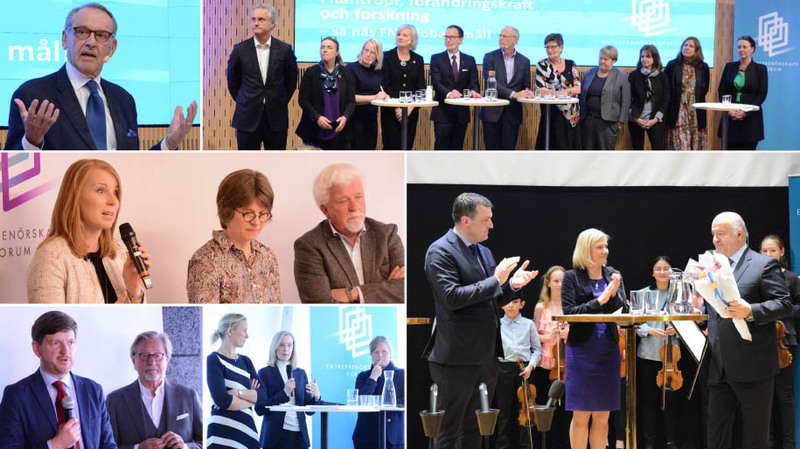 Swedish Entrepreneurship Summit, Swedish Schumpeter Lecture, Swedish Philanthropy Summit and Swedish Economic Forum are some of the yearly activities. Swedish Entrepreneurship Forum is the Swedish partner of Global Entrepreneurship Monitor.